We know how important quality is, and we ensure that each and every item is thoroughly checked over before we list, so that we can give us much detail as we can. Still in its original box. Doesn't look its been used. 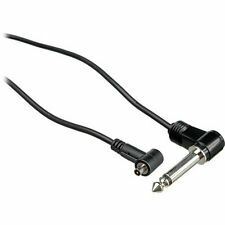 6.35 mm Plug to Male Flash PC Sync Cord Cable. 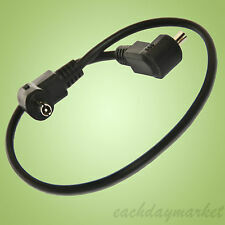 ·1 x 6.35mm Plug to Male Flash PC Sync Cord Cable. One end is male sync plug, and the other end is 6.35mm headphone plug. 100% fire, no missing fire. Small Box & Enevlope. Canon 600EX-RT, 580EX, 580EX MK2, 430EX, 430EX 2, 550EX. The Pixel TTL cord is about 45cm when coiled and the cable itself is about 1.8m long (Theoretical cord length). The operation length is about 100cm long. Extension coiled flash cord, 6 ft. Cordon de synchro flash, 2m. Free local pick-up (Paris, France). Weight 60 g.
Canon 600EX-RT, 580EX, 580EX MK2, 430EX, 430EX 2, 550EX. The Pixel TTL cord is about 70cm when coiled and the cable itself is about 3.6m long (Theoretical cord length). The UNC (Unified National Coarse Thread) of tripod socket is 1/4". Using several multi-flash connectors, the length of the TTL Auto Cords can be extended as long as 30m for TTL Auto remote flash photography. The flashes can be connected directly (T32, T45), or with the TTL Auto Connector T20, or with the Power Bounce Grip 2. Il est équipé d'une cellule photoélectrique qui déclenche votre flash esclave grâce à l'éclair de tout autre flash. Cette cellule a été testée par le site qui fait reference en photo et qui conclut. DEPORTEZ VOTRE FLASH. EVITEZ LES OMBRES PORTEES. LES YEUX ROUGES. (HVL-F58AM, HVL-F42AM ,HVL-F36AM ,HVL-F32X ,HVL-F56AM ,HVL-F20AM ,HVL-HL1 ,HVL-IRH2 ,HVL-20DW2 ,HVL-S3D and Minolta Old Flashlight. len extension tubes. flash diffusers. speedlite light. Or if the product was sent to you in error by our staff. ). Olympus TTL Auto Cord T 0.6M for Olympus T32/T45 etc. 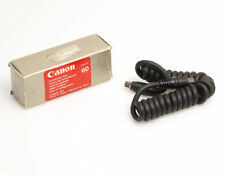 (This lead works with most EX series guns and EOS Digital SLR's. Flash lead only. Full synchronisation is retained with the majority of Digital EX series of flashguns. I hope to see you back soon - enjoy your photography:). This is long sync cord for Portaflash Lighting System. Item is in good condition and about 3 metres long. I picked up from a store long time ago did not test. Please study images, PC connector is a standard for cameras but the other end compatible to Portaflash Lighting System. PAYMENT I accept PayPal only. Payment must be made within 3 days. POSTAGE Post by Royal Mail 2nd Class Signed to UK. Ship to international by Ebay Global Shipping Programme, costs is depend on destination. Please note, can only ship to buyer's eBay or PayPal registered address. Post items usually within 3 working days after payment cleared. RETURNS No returns accepted, please read description & condition before bid/buy. You get a Canon TTL Hot Shoe Adapter 3. Regards, Darryl. Speedlite 580EX II. Speedlite 580EX. Speedlite 550EX. Speedlite 540EZ. Speedlite 480EG. Speedlite 430EX II. This item has been properly tested and is In excellent working order. 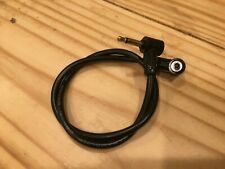 This Vivitar 283 285 HV Etc Plug To PC Sync Flash Unit Cable Cord is In Very Good Condition. Not deteriorated and works great. ThisImpact Sync Cord Male PC to Female PC (16') is a straight cable, 16' long. It can be used to extend an existing PC sync cord. Straight Cable. Corporate accounts and large quantity orders can be accommodated. Proprietary Flash Strobe Sync PC Cord for Vivitar 283 285 285HV Flash 12"
Compatible with the Vivitar 283, 285 and 285HV as well as many other Vivitar flashes. Canon 600EX-RT, 580EX, 580EX mk2, 430EX, 430EX mk2, 550EX. The Pixel TTL cord is coiled and the cable itself is about 10m long (Theoretical cord length). The UNC (Unified National Coarse Thread) of tripod socket is 1/4". 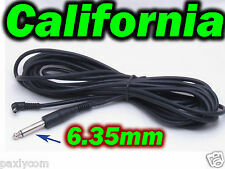 ThisImpact Sync Cord Male Mini to Male Mini (16"") is a straight cable, 16"" long. Straight Cable. Corporate accounts and large quantity orders can be accommodated. Call for more information. Foto-Markt, Fachhandel für Foto / Optik in Altbach bei Esslingen. Originalzustand - Jahrzehnte alt. ###tech###. Technische Details. Als Anschluß stehen am Kabel jeweils ein PC Stecker und eine PC Buchse zur Verfügung. Blitzverlängerungskabel ( flash extension cord ) zum Entfesseln eines externen Blitzgerätes bzw. Stecker : gerade. 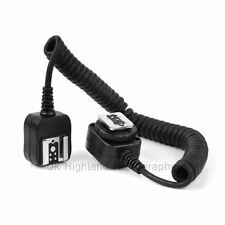 OLYMPUS OM TTL SHOE CORD T0.6m. OM 2sp (OM 2s). OM 707 (OM 77 AF). OM 20 (OM G) . OM 30 (OM F) . OM 40 (OM PC). OM 1n . TTL Auto Multi Connector. Flash Extension Cord. 3.5 mm Plug. Pre-owned in Excellent Condition. Compatability: OLYMPUS OM-SYSTEM. Instruction sheet. United Kingdom. Rest of the World. VIVITAR DSC-1 OFF CAMERA FLASH DEDICATED CORD, BOXED . This unit works with the Vivitar 3500 / 3700 / 4600 flashgun systems. In good clean condition. the shoe end of the cord fits onto tha base of the Vivitar flashgun ( not inc ) and the other end slides onto the top of the dedicated module ( not inc ) that you mount on your SLR. For use on film SLRs. 5X(Professional spring PC sync cable- can be extended to 1M. 3.5 mm jack plug to male flash PC sync with screw lock to provide a stable PC connection. Sync cable provides a stable connection for your flash triggers. ).